Ayca Frankincense and Sandalwood White Clay Mask is a rejuvenating blend of Kerala clay, Sandalwood and Frankincense. This purifying mask extracts toxins and impurities from the skin leaving it feeling radiant and smooth. Suitable for all skin types. 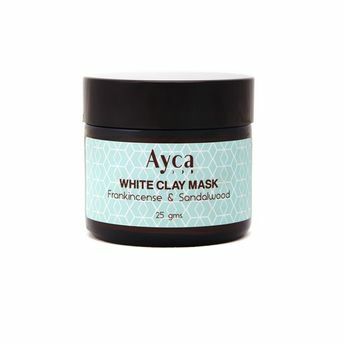 White Kerala clay with Sandalwood dust and the essential oil of Frankincense.